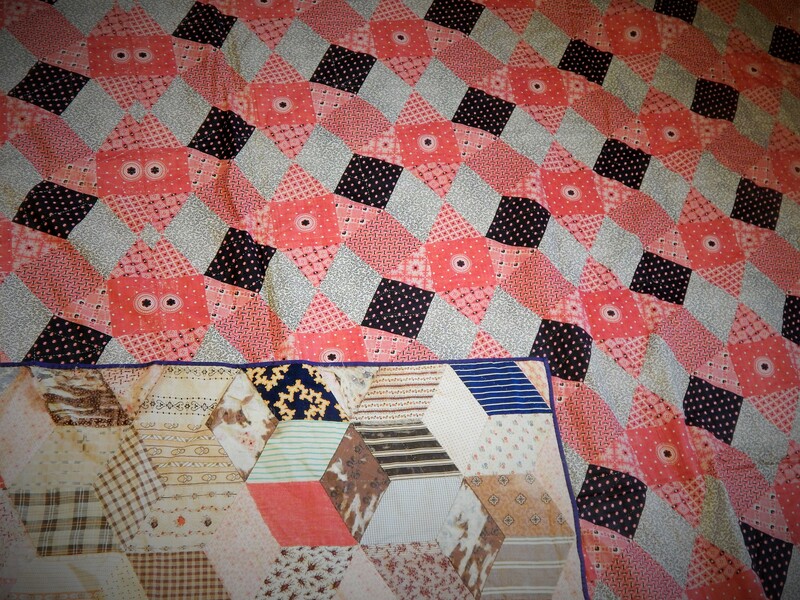 I bought an antique quilt a few weeks ago and I finally took a few pictures of it today. Teddy had to jump up on his chair so I could spread it out on the floor. 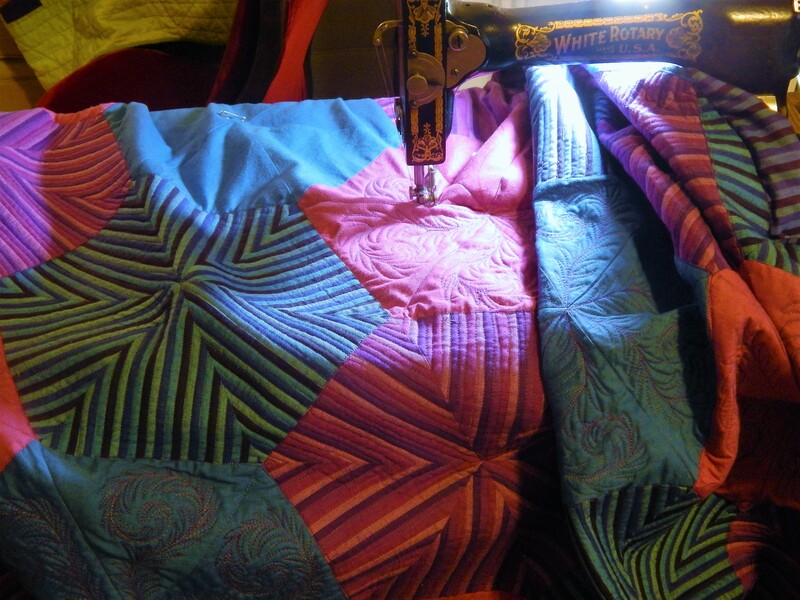 and the back is known as cheater cloth which is a solid piece of fabric that is printed to look as if it is pieced. 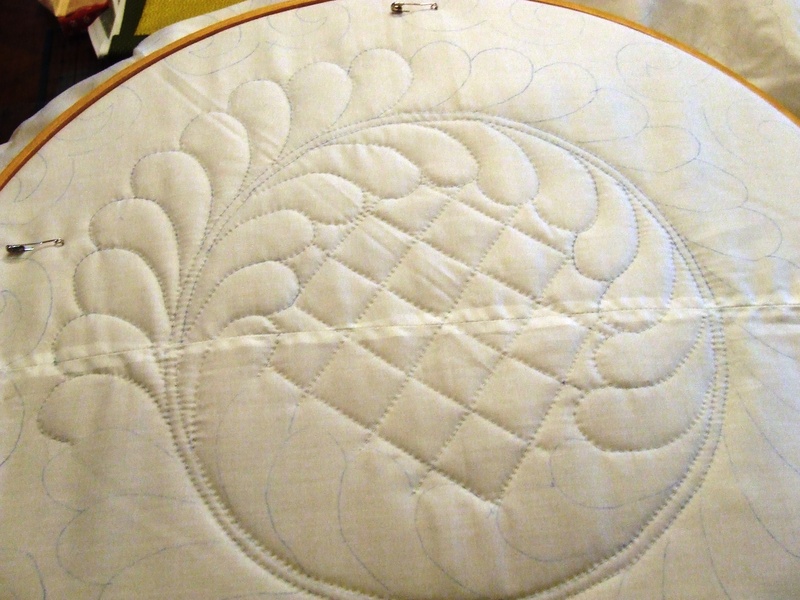 This entry was posted in Quilts and tagged antique quilt, cheater cloth, hand quilting, Quilting, Quilts. I think that brown might have been green when it started. replacement is a good idea. A lovely bit of vintage. Tumbling Blocks is one of my favourites, and I’m looking forward to seeing the restoration and finishing process. Another excellent piece! By the way, did you make the afghan on Teddy’s chair? Very pretty. The back may be cheater cloth but the top looks to be mostly Civil War fabrics. 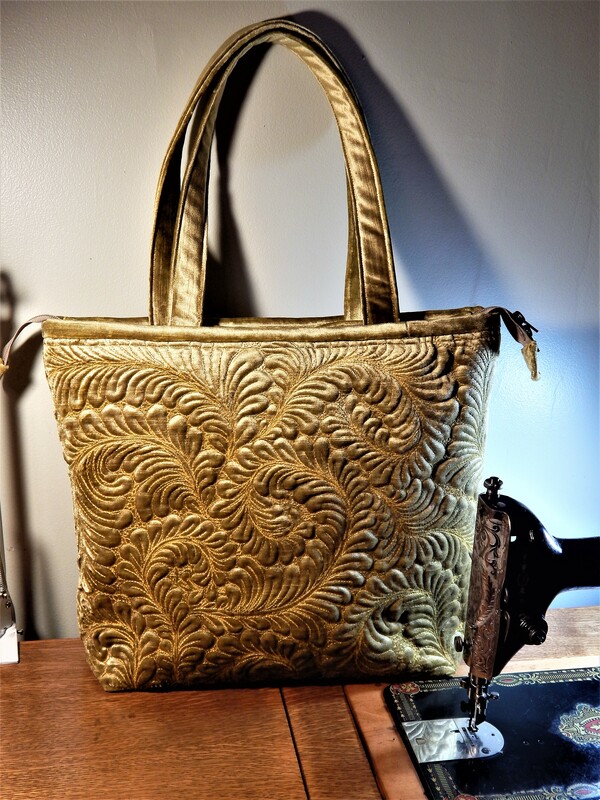 You can easily find reproduction fabrics to replace the bad patches if you can’t round up enough orphaned or salvaged 1860s blocks. I do enjoy watching you work on your projects. I’m learning so much from you. Thanks I enjoy posting even more when I know that it is appreciated! there is spell check falling down on the job! 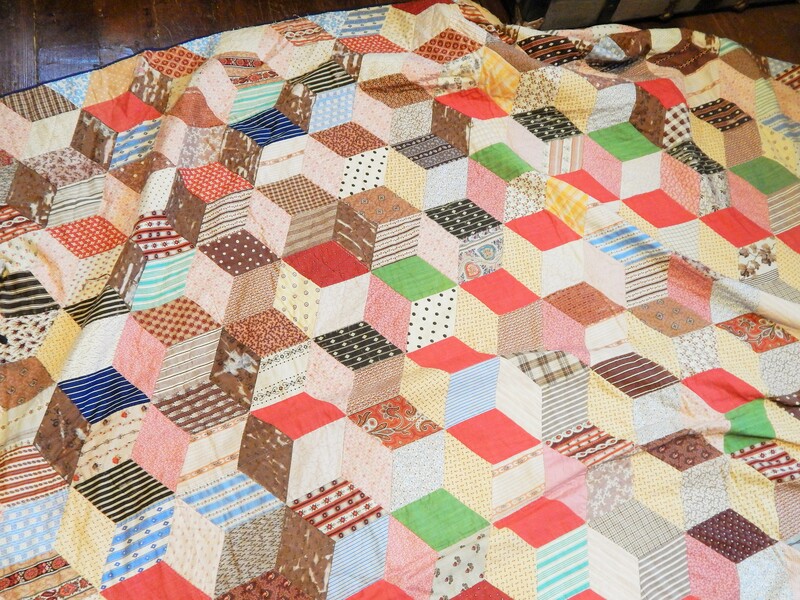 This is such an awesome quilt! I love the cheater cloth – very interesting. 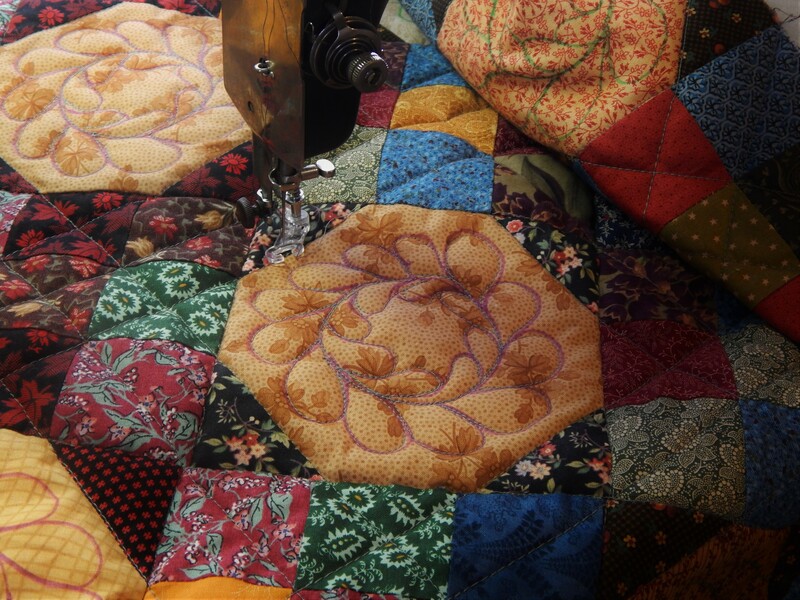 Love what you are doing to preserve old quilt tops. I love Teddy too. 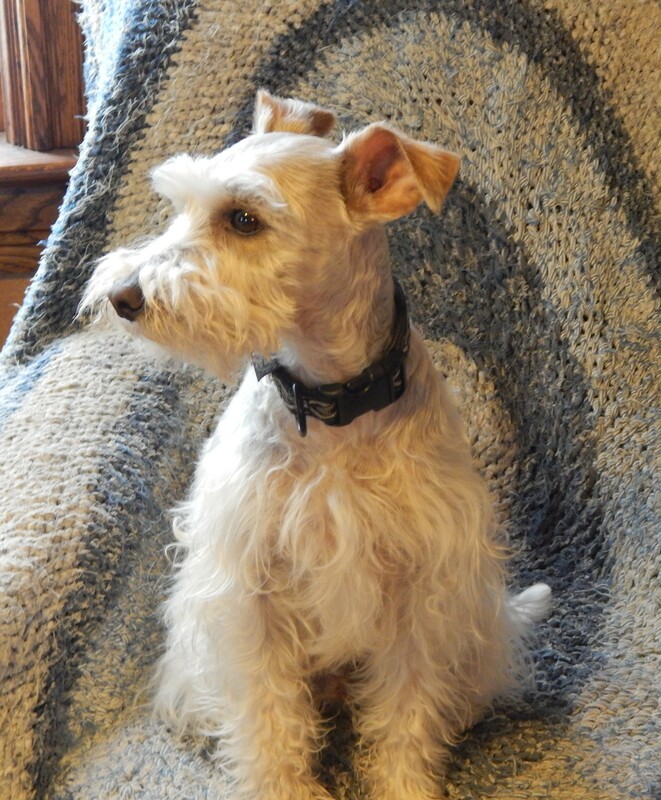 I used to have a wire haired terrier! Thanks! I love to do it!